The Valjulius property is located in the very heart of the Languedoc-Roussillon Region, between the sea and the mountains, near Béziers, South of France. The vineyard has an average-size of 8 hectares. The quality of the soil, the sunny orientation, and meticulous work all year give our vines the opportunity to reach perfect maturity and to reveal their great and various aroma. The Valjulius vineyard invites you to discover new flavours. Our range of products offers you a real taste of pleasure, thanks to their strength, ideal substance, and delicacy. 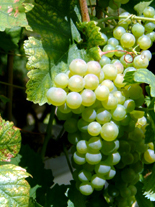 White wine : Grenache blanc 70%, Chardonnay 15%, Vermentino 10%, Marsanne 5%. Grapes are stored for 24 hours in a cold room before being pressed in order to get higher quality juice. This well-balanced wine has an ideal substance and complex flavours. Our Muscat is 100% natural. No added alcohol. 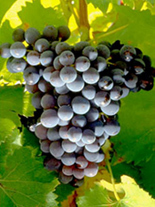 Grapes are harvested when overripe and are then stored for24 hours in a cold room before being pressed. Our Muscat has an aromatic strength, an intense body, and a special delicacy. Rosé wine : Mourvèdre 80%, Syrah 10%, Grenache 10%. Direct pressuring on the Mourvèdre vine. Syrah and Greanche notches. The Rosé wine is well-balanced, smooth and fresh. Red wine : Syrah 80%, Grenache noir 15%, Cabernet Sauvignon 5%. Our red wine is made from our oldest grapevines. 35% of red wine production goes in wooden barrels to be elevated. The red wine is very delicate. Bag-in-box : Syrah 60%, Carignan 30%, Cabernet Sauvignon 10%. Very-well balanced wine which reveals smooth and fresh flavours. Domaine ValJulius - Chemin de Boujan - 34490 Corneilhan - FRANCE.